Don’t overlook the needs of the elderly in criminal-justice reform. I was released from the Federal Correction Institution, Tallahassee, one year ago. I was taken to the Greyhound bus station and given a ticket to head home to New York. For the first time in close to a year, I went unescorted to a store to buy a cup of coffee. I didn’t feel free. I felt anxious. After my father died, I had my apartment but no money. I lost my attorney. I was hungry and would go to Sam’s Club to eat their samples for dinner. And, after I was convicted and went to prison, my apartment was rented out. I had lived there for more than 10 years while I awaited trial following my arrest. 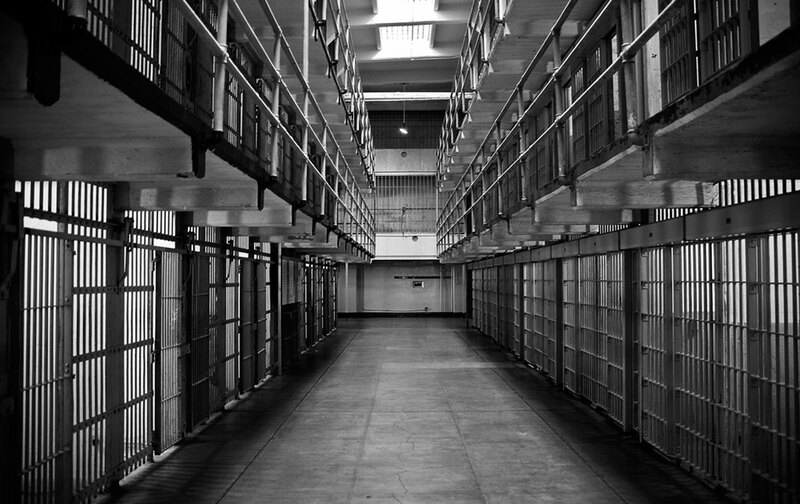 After I lost my first trial, I was sent to a federal prison camp that was difficult for an older person. The prison camp was divided into an upper compound, which contained the housing units, health center, library, chapel, and recreation buildings; and a lower compound, which consisted of the dining hall, laundry, education center, and commissary. The return trip from the lower compound to the housing unit was over a mile and up a steep hill. I had balance problems—on rainy or snowy days I walked slowly because I feared falling. I had to stop every 10 feet or so to catch my breath. The weather—severe heat in the summer and arctic cold in the winter—the terrain, and the physically tough environment of the prison were hard for older women. The stress of surviving was added pressure. The second time I lost at trial I was sent to a higher security prison in Florida. One physician’s assistant (PA) there was notorious for telling every woman he examined that aches and pains were due to fat. He told me the same thing he told the others, “You are fat. You need to walk on the track and drink water.” Once, one Latina woman went to him complaining of severe stomach pains. He gave her the fat speech and several weeks later she died when her gallbladder burst. When I heard this story, I wrote about it. I sent the story via e-mail for a friend to post on my website. Correctional officers read our e-mails and when they saw an officer was mentioned, I was arrested, handcuffed, and taken to solitary—the Segregated Housing Unit (SHU). The officers told me I was being punished for writing about an officer. I was held in solitary for seven weeks. Immediately, I started suffering migraines, which were soon joined by vertigo and high blood pressure. I requested medical attention but was denied. The freezing temperatures added to my physical suffering; I asked for and did not receive an extra blanket. I also repeatedly asked the prison staff to check my blood pressure—my family had a history of heart disease. Two weeks went by before they checked it—it was 200 over 100—stroke territory. I asked the PA, “Are you going to take me to the hospital to be checked?” No, he said, and I knew my life was in jeopardy. The migraines, vertigo, and high blood pressure conditions are still a problem today, and I believe the stress—the physical and mental challenge of being in solitary—caused me permanent damage. After I arrived back in New York, I had to report to a residential reentry center (RRC, a k a a halfway house). Under current law, RRC placements can last up to one year. However, I was permitted to stay only six weeks—a very short amount of time for reentry, especially given that I was 63, homeless, and penniless. On top of that, this halfway house’s rules were borderline Kafkaesque. Phones were prohibited within the house. There was no Internet. Permission to leave the house was limited and often unattainable. If you managed to get permission to go somewhere that had a computer, you could apply for a job online. However, since there was no way for an employer to call you, the effort was futile. Even if you got an e-mail response, you might not get permission to go to the job site for an interview. Because I couldn’t demonstrate proof of employment on an application for housing or pass a background check, the only choice I had after the halfway house was a homeless shelter, a k a the last place I wanted to live. And so, I arranged to join a three-quarter house, which are unlicensed facilities that rent shared rooms to people leaving mental hospitals, drug treatment programs, and prisons or jails. It’s a profitable business. This one was run by a purported feminist who claimed to care about the women she was housing. I worked a $9-an-hour job at Old Navy for the Christmas season. Standing on my feet seven hours a day was painful, and I couldn’t straighten out my back and needed to sleep to endure the next full day of work. And, although I was assigned evening hours, the house curfew was at 11:00. Women who didn’t get home on time found their belongings in garbage bags on the street. The so-called-feminist found it easy to throw women out, and I had to call her when I arrived at the house from work each night to get back in after hours. Evie LitwokEvie Litwok is the author of Hitler Didn’t Kill Me, You Will and Volunteer Director of Witness to Mass Incarceration, a project dedicated to memorializing America’s 40-year history of mass incarceration. She is also an advocate for improving conditions for the aging female population both in prison and returning home.